Because Tiger has been in all the news since Thanksgiving, it's good to see that EA is unwavering in their support of the upcoming '11 year of the Tiger Woods Golf franchise. First up is the launch of Tiger Woods PGA TOUR Online with an open beta, you can get a preview of the title, and invite others via Facebook to check it out as well. Facebook Connect - Tiger Woods PGA TOUR Online connects to Facebook, allowing players to invite their friends to become fans, thus earning additional in-game experience. Players are also able to publish their accomplishments to Facebook. 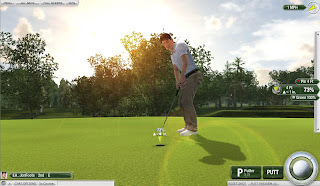 Golfer Progression - Players will begin their career as a beginner and by earning experience points, will climb the ranks toward becoming a golf legend. The Cut Line - As an extra challenge, each day a target score will appear that becomes the goal for each golfer. If the user meets, or scores under the target, additional in-game experience is rewarded. Fans, Favorites, & Sponsorships - Each player will be able to acquire fans within Tiger Woods PGA TOUR Online. The more fans a player has, the more experience points are rewarded. Sponsor your friends and earn in-game money if they make the Cut Line. 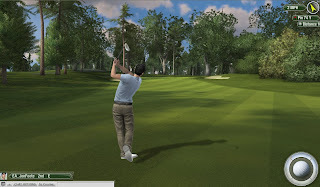 Realistic Wind - Experience dynamic wind that calculates the direction and speed throughout the round, making the game more realistic and challenging. Pro Shop - Purchase upgraded equipment with in-game earnings to help improve your customized golfer and impress friends. Tiger Woods PGA TOUR Online will available in early 2010 and via a "multi-tiered subscription" model. We'll pass along that information as soon as we hear about it. Next is the announcement of Tiger Woods PGA TOUR 11 - the next installment in the only golf franchise available! It's currently announced for most platforms, Wii, Xbox 360, PlayStation 3 and iPhone are amongst the platforms. Personally, I love a good golf title; but as I am with most sports-titles, I don't get each year's updates, but wait 3-4 years between iterations, then I feel like I'm getting a game with a lot of features added. Tiger Woods 11 may be the next one to get!